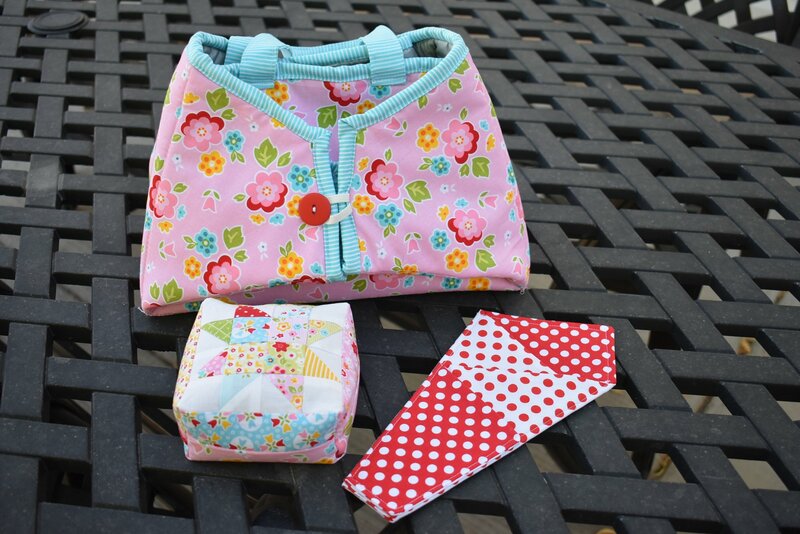 This fun 3 piece Retreat Sew Set is just what any quilter could use to take along to all those retreats we love to go to or your local sew days. The iron caddy fits a full-size iron and can be used as a ironing surface as well. The scissor holster holds two pair of scissors, your full size, plus has a pocket for a smaller scissor, too. And who couldn’t use a new cute pieced pincushion?!? We will be making all 3 pieces in class…and hopefully finishing all of them. Make them for yourself, or make this fun set for a friend. Join us for an enjoyable day of sewing, laughing and learning. There will be a surprise companion pattern given to all students, FREE! !